When Tampa Bay players return to practice Wednesday, one particular ditty should be blaring from those loudspeakers at One Buc Place. The year was 1968 and the group was Archie Bell & the Drells. The song that went to No. 1 on the charts that spring was “Tighten Up.” Check it out on YouTube. It’s got a catchy, funky sound and you can dance to it. The Bucs used the tighten up groove Sunday and when the music finally stopped after almost four hours, that three-game losing streak was history. A secondary that was getting torched every week suddenly decided we’re not gonna take it anymore. New defensive coordinator Mark Duffner provided a new voice and players responded. “We rallied around Coach Duffner,” said rookie M.J. Stewart, a key component of a defense that limited the Browns to only 7 first downs and 126 yards through the opening three quarters. “That was on us as defensive backs. We made up in our own minds to get the job done. Granted, the Bucs weren’t facing down Drew Brees and Michael Thomas on Sunday. This wasn’t Ben Roethlisberger and Antonio Brown or Matt Ryan and Julio Jones. But Buc fans saw a major difference in terms of pass coverage. 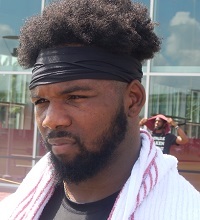 Rookie Baker Mayfield had to make difficult throws and when he did complete passes, Tampa Bay players were around the football. The Browns averaged 6.3 yards per pass attempt on Sunday, compared to 9.3 yards for Buc opponents through the first five games. That’s a significant improvement, helped by a strong pass rush that put Mayfield on his rump five times. The fourth quarter was not kind to Duffner’s group as the Browns registered 10 first down and 14 points, but Cleveland punted on its two overtime possessions, gaining only 14 yards. In the end, it was pretty enough for an ugly victory. Even Noah Spence got into the act, if only for nine snaps. It was his first action since the season opener and Spence was grateful for the opportunity. The Bucs now bring the Tighten Up tour to Cincinnati, where the Bengals are eager to atone for an awful prime-time performance at Kansas City. There’s much to build on for a young secondary that took it upon themselves to raise their compete level. The communication was better. The breakdowns were minimal. Bucs were around the football. This defense looked different, but every week brings new challenges. When the Bucs arrive at Paul Brown Stadium, A.J. Green will be waiting — with cruel intentions. Tighten up, Bucs. Let’s see if your new anthem travels well. Now in his 40th year covering the NFL, Ira Kaufman is the most revered sports personality and writer in the Tampa Bay area. 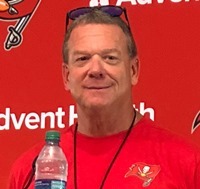 He scored a full-time seat at JoeBucsFan.com world headquarters in July of 2016. 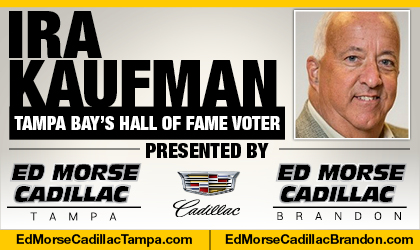 Tampa Bay’s only Pro Football Hall of Fame voter busts out columns here every Monday, Wednesday and Friday, and his award winning podcasts fire Tuesdays and Thursdays. You can also hear Ira on SiriusXM Mad Dog Radio Wednesdays at 5 p.m. Also a TV star, Ira is part of the FOX-13 Tailgate Sunday NFL show at 10:30 a.m. He’s also on BayNews 9 Mondays & Wednesdays at 10:30 p.m. “The Sage” enjoys beet salads, Riesling, tennis, Bette Midler, Chiefs victories and needling Joe. 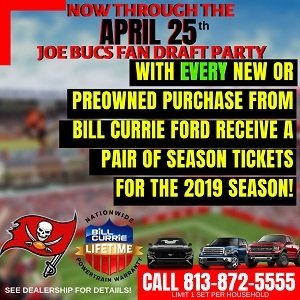 …WATCH IRA AND DERRICK BROOKS on the new TAMPA TWO show from The Identity Tampa Bay and JoeBucsFan. Give up the NFL average 24 points or less and with the Bucs better than average offense they will have a shot at winning virtually any game. Pretty simple. The fans want fitz [email protected]! Defense looked much improved but JW couldn’t hit the broad side of a barn the second half. Why aren’t we spreading the offense out more, get more movement, get Djax involved more, get Rojo involved more how is this that hard to figure out? This is a better team with Fitz at QB . Facts are facts . Pics and turnovers by the QB position are killing this team . If the D can continue to play on par with yesterday’s game Fitz is the best option for winning games . You could see the difference in the defense immediately. The only CB playing off coverage was Grimes (his strength). Not only were the other corners playing press, they were actually jamming the receivers at the line! What a concept! I would bet it surprised the Browns, because they would have never expected that based off the film of previous weeks. I guess you missed the Pittsburgh game. Might want to check the tape. Fitz is a fantastic backup, and if we somehow make some noise this year, he will be a key contributor. However, you can’t expect this team to stick with him when you have a #1 pick entering his 5th year option. Fans don’t understand this, but it’s truly a business. And that’s not just a Tampa thing, that’s a NFL thing. Fitz is what Fitz is – great at times, but a turnover machine at others. That will never change. Jameis may be the same thing, but he’s a younger version of it, with the potential to fix some of those errors. 4 years may seem like a lot, but it’s really not. There’s so much room for growth. A win is a win. Yet there is a LOT to “tighten up” with 6 games in the rear view mirror. Coach Koetter is correct – if this team can play well (read – by not beating ourselves) for 4 straight Quarters – The Buccaneers can beat any team in the league. The positive side of it is that it’s all fixable (mostly). Lots of talent on this team. Bucs are a better than .500 club talent wise. Time to “tighten up” and prove it men. Gotta go 7-3 the rest of the way to (maybe) make the playoffs. So this upcoming game in Cincy vs a good but beatable Bengals team is every bit as much a ‘must win’ as the Browns game was IMO. Or maybe they just played against the Browns. Also, it was impossible to maintain that level of terribleness. some of yall crazy….the fans want fitz?…lol…. I’m surprised that Ira didn’t mention this Buccaneers’ connection. So the new Buccaneer fight slogan is “Tighten Up.” Fits the fight going forward. David’s comment of, I like coach Duf being down there on the field bout says it all. There was no accountability with Pressbox Smitty. With Duf there is. I see a slight ray of hope for this Defense. Gotta get healthy though. Carlton Davis stood out to me. He was jamming receivers at the lone and staying in there hip pocket. Even the pass he got called for a weak pass interference that even ronde didn’t agree with. He jammed callaway at the line and ran step for step for him. And callaway ran the fastest 40 time for any receiver in the combine this year so that was impressive to me. He looks like he can develop into a rea shut down corner. And he is big to handle Julio and Thomas. I think he is only going to get better as the year progresses. Now that he can get his hands on the receiver at the line. And maybe Stewart can do the same. Guys like him need to jam receivers at the line to neutralize there speed. That is what both corners were known for coming out of college. But yet the past d coordinator wouldn’t adjust his scheme to fit the players. That never works out for the team. Why not try Spence at LB?